A walk from Arnos Grove to Southgate station, through Arnos Park and the Minchenden Estate on Saturday 13th April 2013. 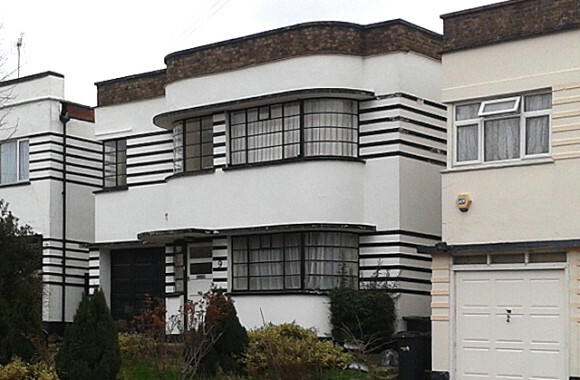 This included visits to the Bowes Road library and swimming pool by W H Curtis (1935-39), the Piccadilly Line viaduct (1932), moderne houses by Frank Woodward and Ellington Court by Frederick Gibberd (1937). Click on the image to see the full set of photos by Cela Selley on Flickr.